Alexa offers therapy services to individuals and families hoping to better their mental health. Utilizing various therapeutic techniques, she strives to tailor the experience to fit and meet the needs of each individual client. Alexa aims to engage and help the client realize their goals and potentials. Alexa has had the extraordinary privilege of working with individuals living with life limiting, chronic illnesses and the end of life process. 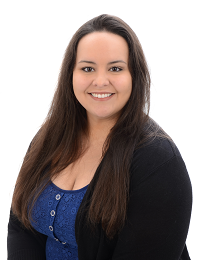 Alexa is very passionate about working with clients experiencing a wide range of mental health issues including: grief, depression, anxiety, trauma, thoughts of suicide, emotional difficulties, family concerns, and self-esteem issues. Keeping an open heart and mind, she hopes to ensure each client and family have the skills to continue confidently along the journey of life.